Today we had the GDP meet & greet. 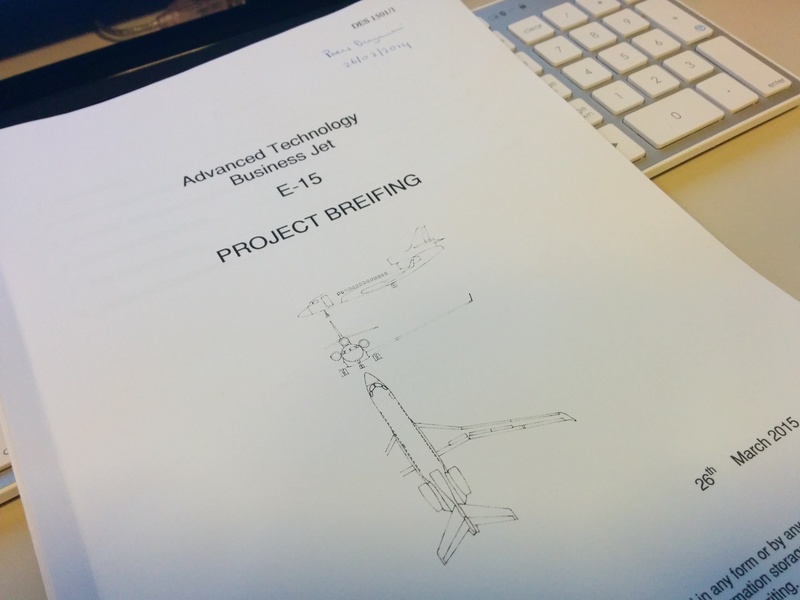 I was really excited and nervous at the same time, as this project was the biggest reason I chose AVD at Cranfield University and I could see my dream of pursuing aircraft design coming true in front of my eyes. We were given a presentation on the aircraft that we’d be designing: an Advanced Technology Business Jet, codenamed E-15, loosely based on te Dassault Falcon 7x aircraft. So what about ‘advanced technology’ you ask? Well, the biggest eye catcher is that the design involved a swept wing with an aspect ratio of 16. Pretty much everyone with a relatively strong aeronautical engineering background was speechless for a few minutes trying to comprehend whether this would even be possible or not. Professor Smith explained that this would be quite a big challenge and that we’d have to look into concepts such as ‘active/passive flutter suppression’ and ‘gust alleviation techniques’, while of course keeping technology readiness levels (TRLs) in mind. From the TO mass, it is clear that this aircraft fits into the EASA CS-25 category of aircraft and must conform with these airworthiness requirements. Explore potential developments to an existing airframe line that will offer significant benefits without requiring the major investments and levels of risk associated with launch of a completely new aircraft design. Focus on increasing the range of the aircraft into te 7000nm+ category. Improving Business Aviation’s green credentials. The study will include the Global Impact (primarily the reduction of emissions that contribute to climate change and reduction in use of fossil fuels), the Local Impact (primarily emissions and noise), Cabin (healthier, safer and more comfortable) and Sustainability issues (primarily choice of materials, recycling potential etc). It is expected that the aircraft will use the latest aerodynamic, systems and materials technology consistent with the above requirements, maximum service life reliability and maintainability, and low cost. Consideration will be given to the business and cost implications of all implemented technologies.